As the Washington Nationals march to their first postseason in the post-Expos era, a conflict is brewing over whether fans should have to literally march home after extra-late-for-TV playoff games. 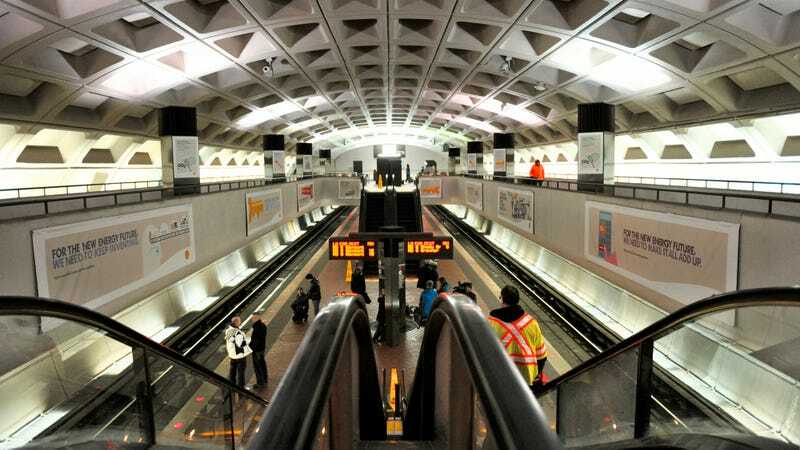 Unlike civilized mass transit systems, the D.C. Metro shuts down at midnight and costs $29,500 an hour to run overtime. A senior Nats official allegedly confirmed the MLB rule, which means thousands of passionate Nationals fans may miss out on attending a postseason game because Bud Selig doesn't want them to be there. Major League Baseball allegedly fears a precedent being set; if so, who cares? The very policy reflects how the league is the most anti-fan professional sports organization in America, though we do wonder exactly how MLB would sanction the Nats if they put the money up themselves anyway.